A, C, E and L train at 14th St. and 8th Ave. The restaurant is available for special events. For more information please contact the restaurant at 646-657-0045. 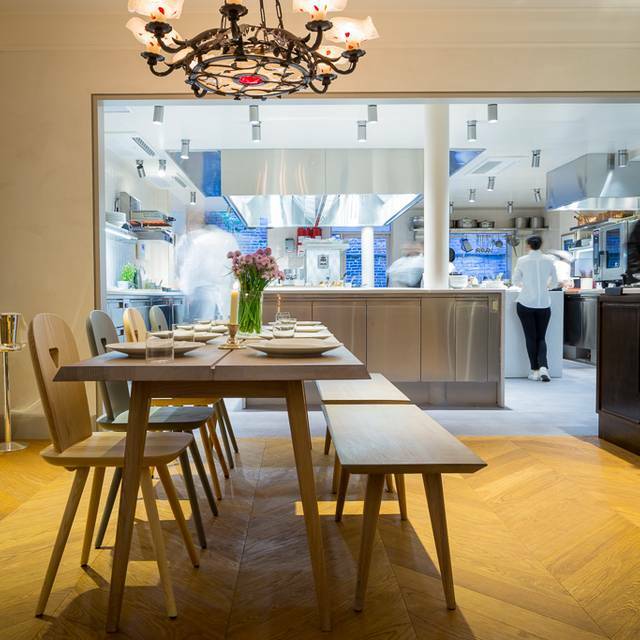 Günter Seeger NY is the Michelin Starred restaurant from Chef Günter Seeger, located between the Meatpacking District and the West Village in an elegant townhouse. The restaurant serves market driven, New American cuisine utilizing classic techniques. 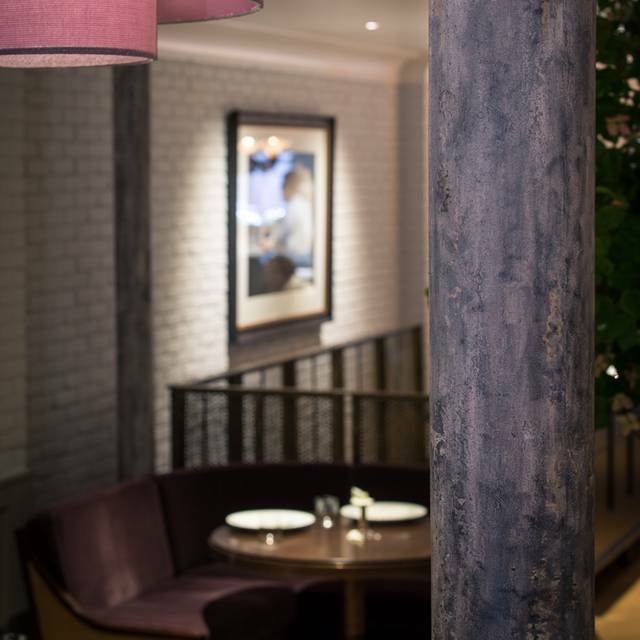 You're invited to join us for dinner in either our Main Dining Room or at the Chef's Table. Weekdays there is the option of either a $115 4 course menu or the $168 8 course menu. On Friday and Saturday we serve the 8 course Menu only. Reservations can be made 30 days in advance online and 60 days in advance by phone. We look forward to welcoming you. A spectacular dining experience in every way! It was my husbands birthday and this restaurant went out of their way to make it a memorable celebration. We had to most wonderful dining experience at Gunter Seeger. It was my wife's birthday and Angie called to confirm my reservation and helped me make her experience extra special. Every member of the team is there to make your meal a memorable one. From the moment you walk in the door every experience is superb. We had the 8 course menu but with all of the additions and extras we received it was 12 courses. The menu is orchestrated beautifully. Our favorites were the Foie Gras and Sugar Snap Pea Veloute. The table side cheese course was heavenly. We loved the open kitchen and being able to watch the chefs prepare our dishes. The wine list was excellent with many exceptional choices. To end our night my wife received in addition to the rhubarb gratine, a birthday dessert of raspberry chocolate mousse with a candle to make a wish. Every step was well thought out and executed effortlessly. Our 3 hour dining experience could not be beat. With their outstanding service, along with the value and cost of the meal, you will not find anything better in fine dining in the city. They are well on their way to more Michelin Stars! We had a fabulous meal. Service was incredibly attentive. Food was delicious and I enjoyed the wine pairings. A very relaxed three hour meal. Don’t come here for a quick bite. It’s an evening’s experience. What a wonderful evening! We came to the restaurant to celebrate my husband's birthday. We did the 4 course tasting menu with an added item. The courses were perfect. We did ask for a substitute for one course and they did with no qualms. The highlight of the evening was being guided to the immaculate clean kitchen and being introduced to Chef Seeger. Such a delightful man. We are definitely coming back! We had a great experience at Günter Seeger. 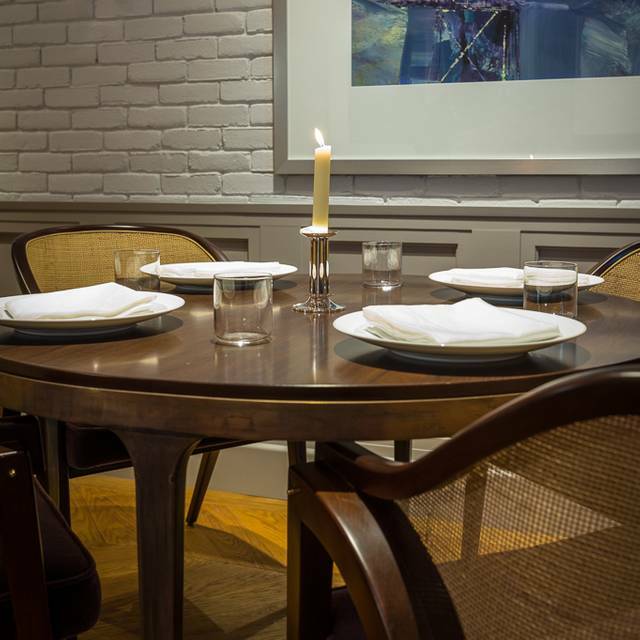 The dining room is beautiful,with tables spaced so that it feels very private. Every person who works there is a joy to deal with. They were very flexible on alternatives to the fixed menu. Two of us did not want veal tartare; they replaced, it without a moments hesitation, with a perfect egg dish. The soft shell crab and the steak both had extraordinary flavor. The wine pairings were very well matched to the food. They only need to fill the most beautiful wine glasses a little more! Trust is perhaps the one thing New Yorkers are most reticent about giving up, we have good reason to doubt almost everyone and everything. Trust is the underlying driving force behind a tasting menu, so it is most important that a truly great chef earns your trust immediately so that you, as the customer, can enjoy your experience to the fullest, the way your host, the chef, planned it. 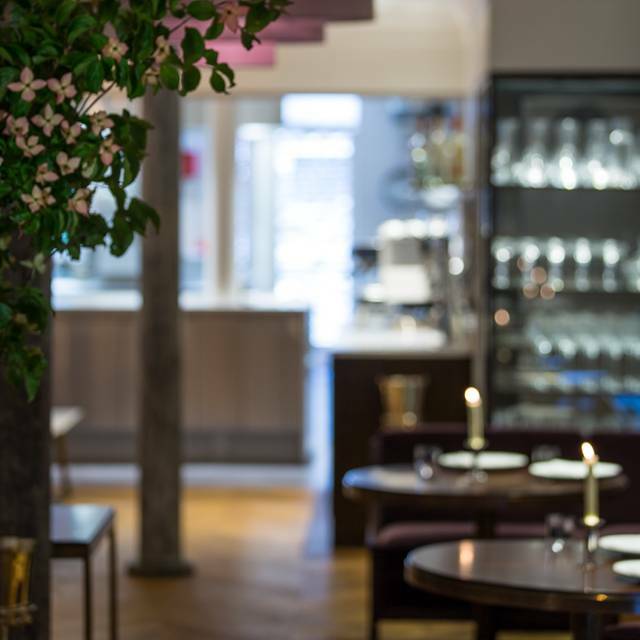 Gunter Seeger succeeds early on, and once your reticence is gone, you can truly bathe in the dining experience of a lifetime, which the chef does deliver. Service was spectacular. Your first instinct may be that these dishes at these moderate sizes are not going to fill you up and you may need to stop for pizza later, but trust me, the chef knows this is in your mind too, and does not disappoint. Do not miss the opportunity to have the greatest culinary night of your life at Gunter Seeger. I guarantee it will exceed your expectations !! Perfect in every way, made us very welcome and the evening special. Struggled a bit with the amount of food, but that’s America I guess. Expensive compared to London is the only negative but minor. Was phenomenal!! Our service was amazing and the food was awesome even better! The staff was so excited about the food and the wine it made you excited to eat and drink it! We thought it was amazing that the Chef even wished you a good evening on the way out and had a sweet surprise at the end! Gunter Seeger NY is a great experience in market to table cooking. The service is well orchestrated and the staff is very knowledgeable about their domain. Very nice experience and meal. The reason why I’m giving it a 3/5 is that the service was incredibly slow and the meal was just way too long. Four hours for just eight courses: that is really excessive, we were almost desperate after all the waiting. The waiters and sommelier were very nice though, and the food was delicious. 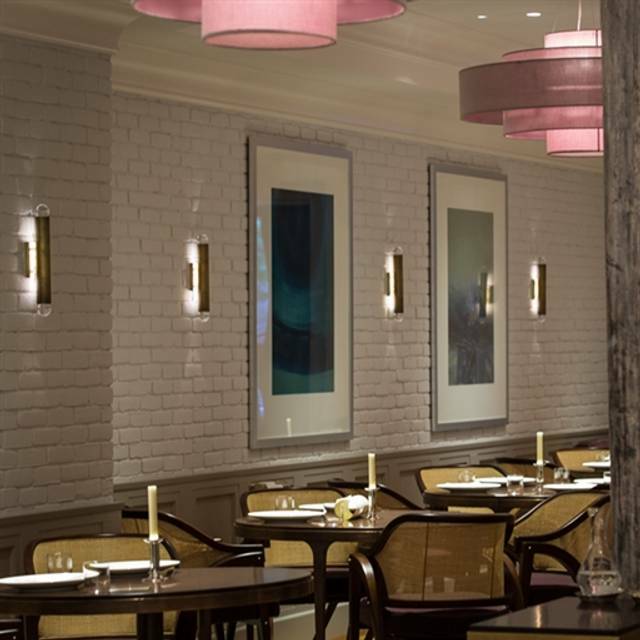 My husband and I chose Günter Seeger as a destination restaurant to celebrate my birthday, making a reservation for the 8-course tasting menu offered in the dining room. Before arrival, my husband inquired about the wine menu and the sommelier replied straight away. We decided to add the wine pairing, which did not disappoint, in fact I would say it definitely added to the overall experience. 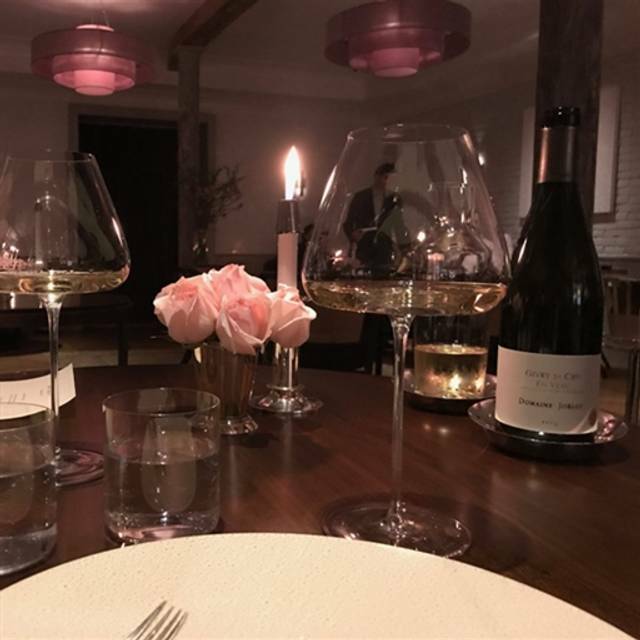 Our meal at Günter Seeger was nothing short of superb, start to finish, with impeccable service, a thoughtful, well-executed tasting menu, and a thoroughly elegant setting to enjoy it all in. The kitchen is open so you can see the staff at work, as well as Chef Seeger. The dining room isn’t all that big, so it feels quite intimate to be so close to the kitchen like that. You can see the kitchen from nearly every seat in the house although they also have a Chef’s Table. For the food, each dish was a delightful celebration of the featured ingredient, like the Four Sensations of a Farm Egg and White Asparagus Velouté. The dessert was a simply perfect expression of a wild Strawberry. Every detail of our experience was spot on, and it was a lovely and memorable birthday celebration. I can’t wait to come back. Very pleasant dining experience from the moment we walked in and till they walked us out. My date and I had a wonderful, romantic time enjoying the food and service. Would recommend this restaurant to anyone! My wife and I are fortunate enough to have happened upon Gunther Seeger when it opened and this is our 8th or 9th visit. The chef and staff care about the food and your experience. It has met or exceeded our expectations on each occasion. The last included some wonderful venison, salmon tart, and sea urchin. The cheese course and dessert brought the meal to a satisfying conclusion. Absolutely phenomenal dining experience. Everything was amazing. Some of the best food in New York with a menu that changes daily and only allows you to choose a short or a long menu. But we have hardly ever had a dish that was less than perfect. A seeming simplicity masks a complete mastery of French cooking technique. 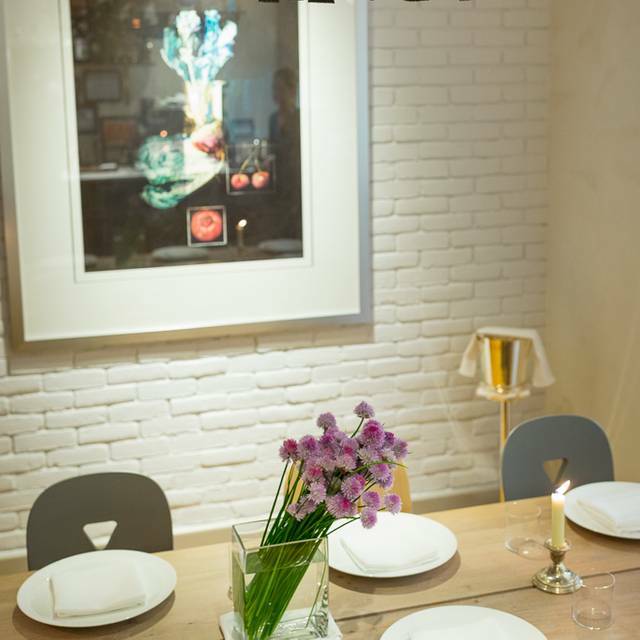 Add beautiful flowers, well-spaced tables and calm friendly service and you have as close to perfection as can be found in New York. It was amazing. I’ll be back for the eight course menu next time! The decor and ambiance was just perfect. We were greeted with such warmth. However, the timing of the service was just not there. We took around 3.5-4 hours for just 9 courses. A couple came in 1.5 hours after us but still finished at the same time. We were often left waiting for the next dish with little wine from the pairing. Additionally, often times they were plating food while also trying to change out wine glasses and pour at the same time. Instead of pouring the wine first and then plating. By the end of the night we were left yawning and waiting for the meal to be over. The food was good, but the timing left us not remembering much of it. One of the best meals I’ve ever had. Hands down. It was an absolutely amazing culinary experience. Some restaurants offer excellent ambiance and or excellent service or excellent food, very rarely you find all aspects at a level of excellent. This is a very unique experience that we should treat ourselves to. Lovely 4 course plus 2 dessert set menu for Valentine's Day dinner. Pace was a bit quick (makes sense since it is likely one of their busiest nights of the year), but the servers slowed down when we mentioned it. The ambience is perfect....comfortable yet elegant at the same time. Our seat in the front corner gave us such a great vantage point to enjoy the beautiful room and open kitchen. Looking forward to our next visit. Food was pretty good. Nothing blew me away. There were some service related issues that they could improve upon, like not taking one person's plate away while the other was eating. They gave me the feeling that by course 6 or 7, they were anxious for me to leave. Very tasty food, different cultural influences. Interesting and delicious experience. 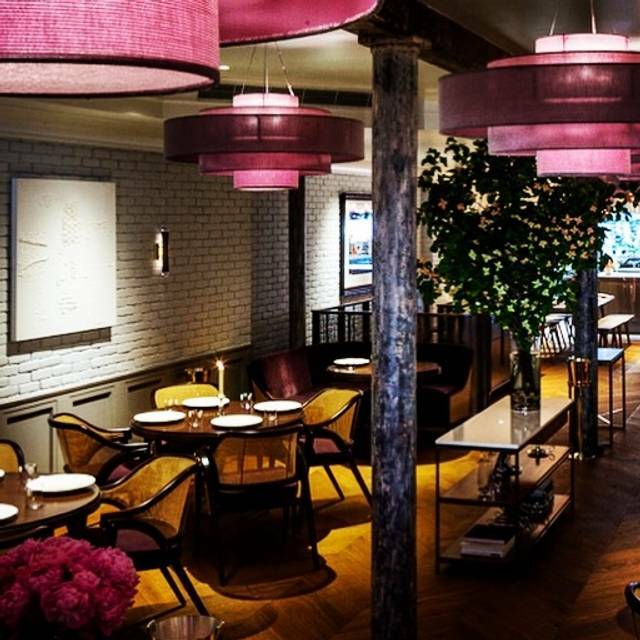 This was our second visit to this outstanding and creative addition to the West Village. Service is personal, authentic, and friendly. 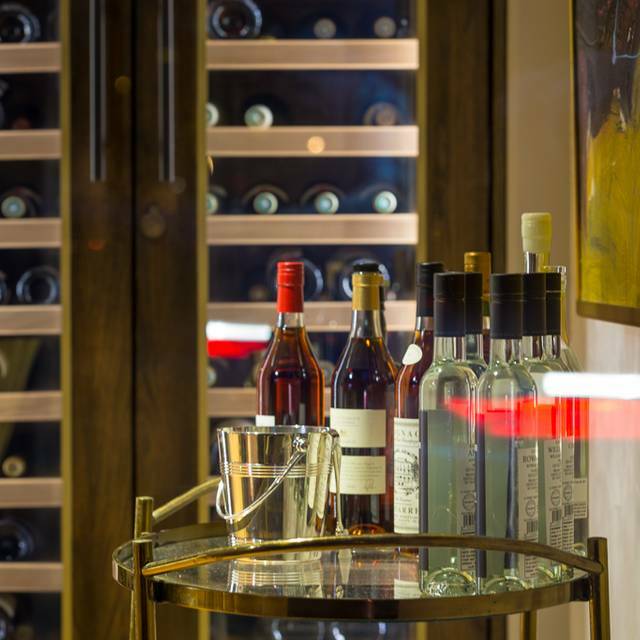 The sommelier shares her deep knowledge and joy for wine with every pairing, adding to the experience during each of the eight course on the tasting menu. We added the caviar supplement, which was delicious, though the underlying mouse, which served as a base, was slightly overpowering to the delicate flavors of the caviar generously layered on top. Our favorite course was the Oasis Farm Egg, served in shell with a subtle complement of bottarga and sherry flavors. The best surprise was the tenderness and flavor developed in the braised fennel course. Outstanding overall, though quite pricey when supplements and wine pairings are added. But worth it for special occasions. Very impressed with the attention to service. Food was excellent. Love the open kitchen and the ambiance. Highly recommend this as an experience for anyone in to fine dining. Huge fan of this restaurant. Beautiful and reserved setting, impeccable service, and every dish surprised me with its creativity while being delicious. Great for the price given how other similar echelon restaurants are priced. Stunning restaurant. Spotless all around. A master at work surrounded by his team. Great place for special occasion and amazing wine list especially from Germany. It was a pleasure to have a delicious meal, we chose the 4 course with wine pairing, without too much fuss of servers interrupting, allowing for wonderful conversation with my son. We went on a Saturday and there is only one selection: the 10 course tasting menu (plus additional courses if you so desire). No problem, that's what we wanted. And we were expecting an excellent wine pairing. Alas, though ambiance, food, and service certainly matched our expectations, I never had so many subpar wine matches on a tasting menu. The four German wines were all disappointing, quite a surprise given that the chef grew up in Germany and having had superb German wines on a recent trip to Heidelberg. On the plus side, a Sicilian red was a great accompaniment to what was the "main course" (squab aka pigeon). Another wonderful surprise on the food side was the Baked Kohlrabi, of which I only had bad memories from childhood. No much point to review specific items in detail, the menu changes daily, there are no house specials that you can count on having. But this is part of the fun. So, if wine matching is not that important to you, it is a great place for a celebratory dinner. By the way, there is no information about the wines on the match nor the wine list in general on the restaurant's web site. Maybe we should have followed the suggestion of our server: just pick a good bottle of wine. Outstanding from the time we walked in. Excellent! Exceeded my expectation. Lovely restaurant with excellent, attentive & competent staff. Very inventive cuisine using seasonal ingredients alongside an interesting wine list, mostly German that pairs well with the cuisine. Friendly and attentive staff. Elegant surroundings. Really great wine list. Impeccable service. The ambience was extraordinarily tasteful and conducive for great dinner conversations. Very comfortable overall.